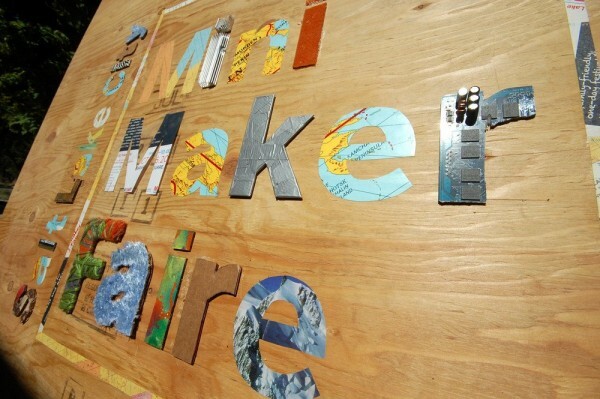 DIY projects from robotics, to crafts and everything in between can be found at MAKE Magazine’s Mini Maker Faire, which is coming to Salt Lake City on Saturday, Oct. 6. The community driven do-it-yourself (DIY) exhibition will feature exhibits from makers, as well as variety of DIY ideas and workshops. Blum is responsible for starting the process of bringing the Maker Faire to Salt Lake. Organizers of the Mini Maker Faire aim to make it a fun environment where local makers will not only get to show off their work, but put on workshops to help teach patrons how to make crafts of their own. The multiple workshops at the event will range from to low-tech subjects such as woodworking or using a soldering iron, to hi-tech subjects such as robotics. The Mini Maker Faire will be on Saturday, Oct. 6 from Noon to 10 p.m. at Library Square, which is located at 200 East, 400 South in Salt Lake City. The Faire will be split into two areas. The exhibits on 200 East will be free to the public, and will include the Cardboard Challenge and the Artwheels exhibit. The Cardboard Challenge is part of Caine’s Arcade Global Challenge, and participants will build arcade games out of cardboard. The Artwheels exhibit features vehicles that have been turned into pieces of artwork. The rest of the exhibits will be held on the plaza between the Library Square and the Leonardo, and will require paid admission. The Salt Lake Mini Maker Faire is one of over 60 that are held all around the globe. There are also three larger Maker Faires (without the Mini), which are the Bay Area Maker Faire in California, the Detroit Maker Faire, and the New York World Maker Faire. All Maker Faires are associated with MAKE Magazine, which is a quarterly publication dedicated to DIY technology. Advance tickets will cost $6 for children (4-12, children under 3 are free) $9 for youth and students (12-24 with student I.D.) and $12 for adults. Family passes are also available for $30, and include 2 adult and 2 child tickets. Tickets at gate will be $8 for children, $12 for youth and students, $15 for adults, and $40 for family passes. Tickets will also include general admission to the Leonardo.